Keeps you fresh & clean.Get a refreshing & clean feel every time you use this deodorant. Just be you, a confident man who likes to take the world by storm and conquer your dreams with Axe Dark Temptation Deodorant Bodyspray. Enriched by the mischievous interplay of seductive, long lasting fragrance and crafted for a refreshing beat in Axe s iconic style, this is a temptation that is simply irresistible. It has the unique intense fragrance of dark chocolate that leans toward seductive bliss, this deodorant has been designed for the metrosexual man to kick start his day in great style. We pride ourselves as the creators of irresistible and unique fragrances. Fragrances that not only smell good but also keep you fresh, clean, charming and confident. This range of deodorants provide longer lasting protection that goes on from party, to after party, to after the after party. The bottle is extremely light weight which makes it travel friendly. It is not just an ideal gift for yourself but for your loved ones too. 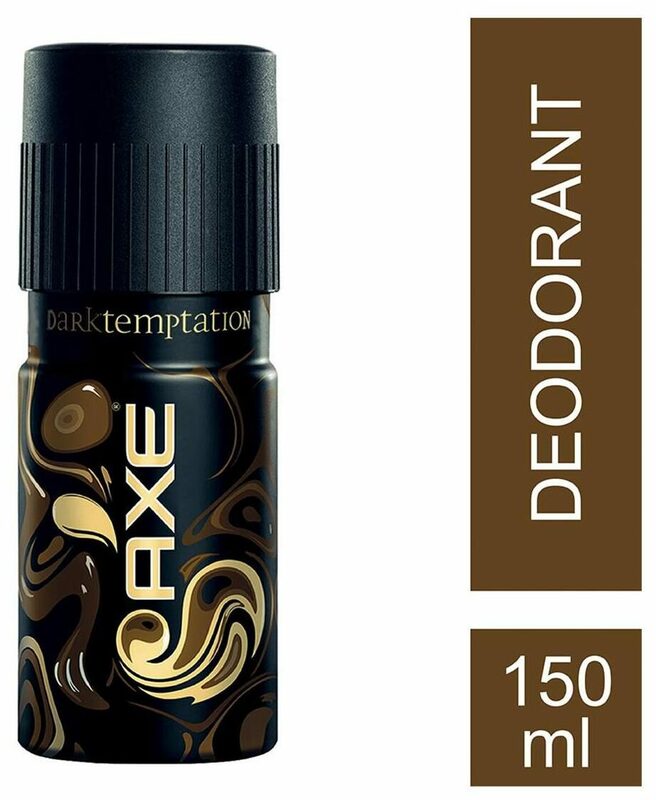 The mesmerizing deodorant body spray, Axe Dark Temptation is safe on skin and is suitable for everyday use. So charm the world with your urban sexiness and the power of Axe Dark Temptation Deodorant Bodyspray. What are you waiting for? Gift yourself the intense scent of dark chocolate.